At StorQuest Self Storage, we love the facts – anything that tells us more about you. Because your stuff matters and so does your journey, the cities you move to play a large role in telling us your story. According to United Van Lines, this year people left big metropolitan cities like Chicago and New York City to head west. 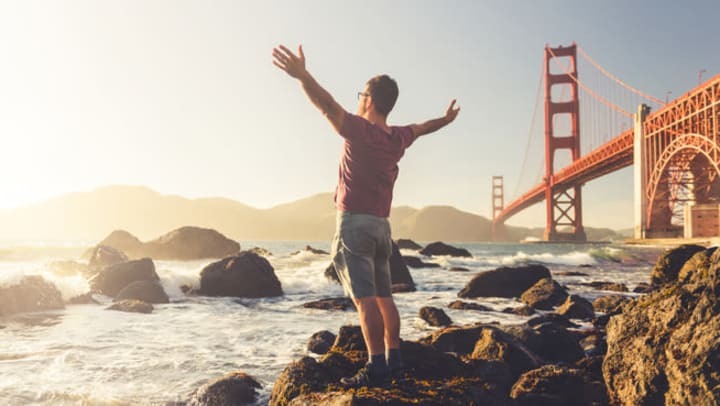 While everyone has their own motivations for moving, here are a few of our favorite reasons to relocate to four of the top 10 cities on United Van Lines list. According to United Van Lines’ moving volume data, Seattle takes the crown for the most popular city in the United States to move to during peak season in 2017. What brings people to Seattle? In addition to the beautiful landscape, access to the Pacific Ocean, Puget Sound, outdoor recreation options, and many natural wonders, Washington doesn’t have an income tax. With many great neighborhoods to choose from, such as Queen Anne, Greenwood, and Beacon Hill, the Seattle lifestyle brought many new residents to the Emerald City. Coming in second, according to United Van Lines, many residents decided to make Dallas, TX, home in 2017. With two StorQuest Self Storage locations in Dallas and one in nearby Fort Worth, we’re partial to the area. Residents love calling Dallas home due to access to world-renowned sports teams like the Dallas Cowboys, more restaurants per capita than New York City, and the largest farmers market in the U.S. A transportation hub, Dallas’ airport could be it’s own city. A melting pot, people from all walks of life call this metropolitan city in Texas home. Coming in at number four on the United Van Lines list, Denver’s growing food scene, 300+ days of sunshine, and a location near some of the best ski resorts in the country draw in new residents. If you can adjust to the high elevation, Denver offers residents a desirable lifestyle. Enjoy taking in a professional sports game? Not only is Denver home to the 2016 Super Bowl Champion Broncos, you can also cheer on the Rockies, Avalanche, and Nuggets. Denver is also home to more microbreweries than any other city outside of Portland, Oregon. The Denver lifestyle has it’s perks, which is why StorQuest has two locations in the city, as well as a number of facilities in the surrounding area. For movers seeking sunshine and the Atlantic Ocean, Orlando took the number 10 spot on the United Van Lines list of popular moves in 2017. Whether you decided to ditch the corporate world and work at Disney World or you relocated to attend University of Central Florida, moving to Orlando drew new residents from all over the country. More than just Disney, Orlando offers residents a plethora of cultural amenities including ballet, opera, and a Shakespeare festival. Orlando’s historic neighborhoods invite residents home and no state income tax can help save you money each year, depending on where you moved from. And in Orlando, StorQuest Self Storage helps you make room for awesome. At StorQuest, we want to encourage, excite, and awaken your sense of discovery. Moving to a new city brings a sense of discovery to your life as you explore your new home. Whether you’re waiting to move into your new home or you’ve relocated for school and need a place to keep your belongings between terms, StorQuest has your back in some of the most popular cities in the United States. Did you move in 2017? What do you think of the list? Where did you move and what brought you there? Share with us on Facebook, we’d love to know where our clients relocated to in the past year.